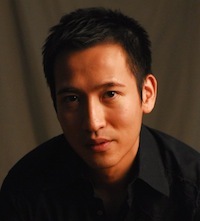 Jason began blogging about Hong Kong politics and societal issues in 2008. He now contributes to a number of news media outlets. Jason is a member of the Foreign Correspondents' Club and Hong Kong Journalists Association. Jason contributes to The Guardian from time to time, commenting on Hong Kong and Chinese political events. His most recent article argues that the shrinking space of free expression in Hong Kong may not work in Beijing's interest. 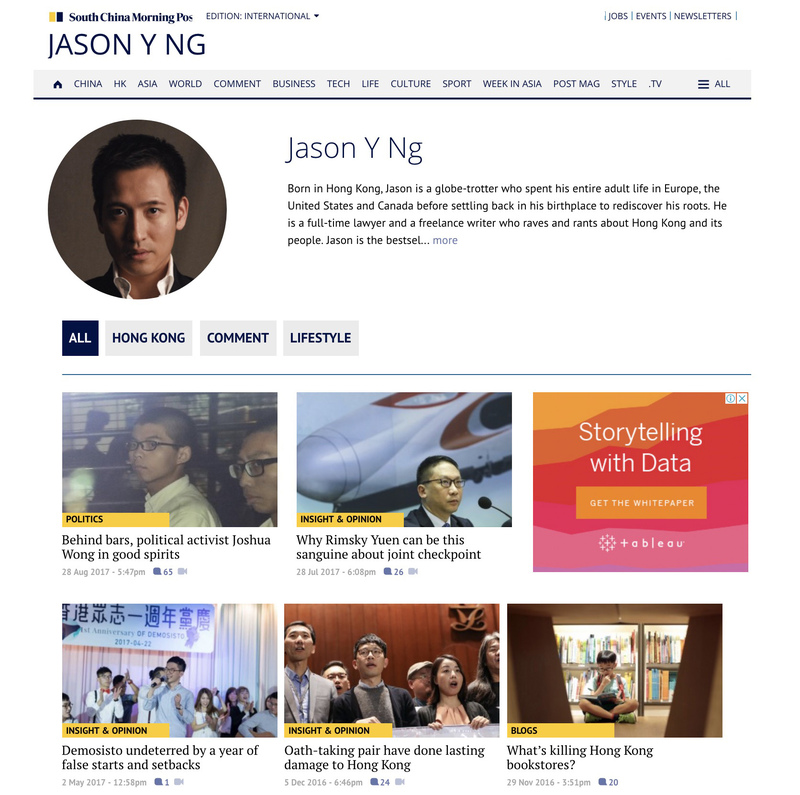 Jason is a contributor to the online edition of The South China Morning Post, Hong Kong's leading English language newspaper. His articles on local politics and the pro-democracy movement in Hong Kong are frequently quoted by international news organizations and journals, including BBC News and the Asia Pacific Defense Forum. 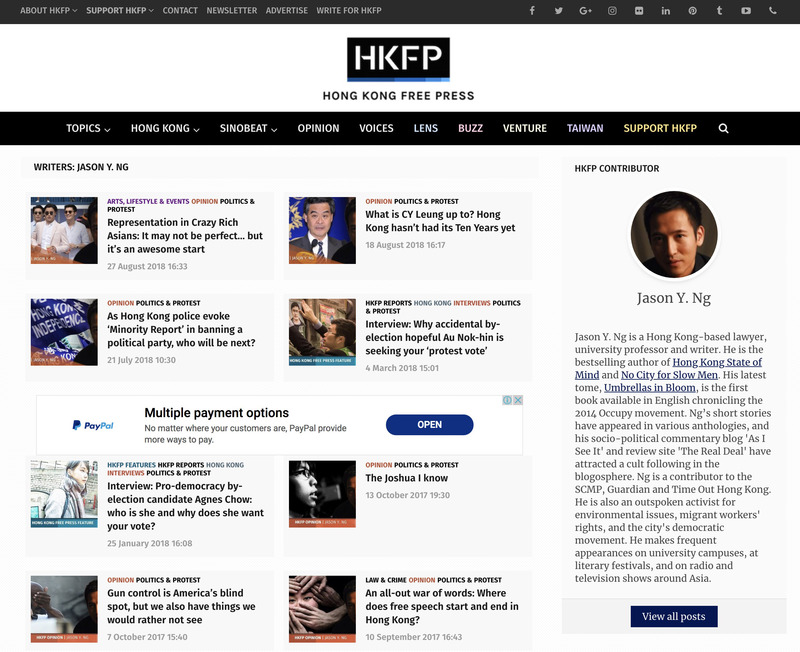 Jason is a contributor to Hong Kong Free Press, an independent English-language news media outlet seeking to unite critical voices on local and national affairs. Free of charge and completely independent, HKFP arrived amid rising concerns over declining press freedom in Hong Kong and during an important time in the city's constitutional development. Jason's article on social and political issues have been cited frequently by the foreign press, including The Wall Street Journal. The biweekly online column began in 2008 as a social commentary on Hong Kong’s many paradoxes and contradictions. Jason is a zealous observer who tells it like it is, writes it as he sees it. The blog commands a sizable following of readers in Asia and beyond. Blog posts from As I See It are frequently cited by overseas news media. Frustrated by biased restaurant reviews and retail recommendations that proclaim “everything is awesome,” Jason launched his second blog, The Real Deal, in 2012 to offer bite-sized, straight-to-the-point opinions on the dernier cri in the city’s leisure scene. Jason combines wry humor with razor sharp observations to assemble a catalog of no holds barred restaurant, movie, hotel and retail reviews that readers can trust. MANIFESTO is the first Hong Kong-based English language unisex magazine on luxury fashion, design and pop-culture. The bimonthly magazine brings together an elite team of international contributors and key opinion leaders that deliver exclusive quality content in each issue, including fashion spread, opinion columns and trend reports. Since 2013, the magazine has been stocked in bookstores and newsstands around the world, including the United States, Europe, Latin America and Australia. Between 2011-2015, Jason was a columnist for MANIFESTO. 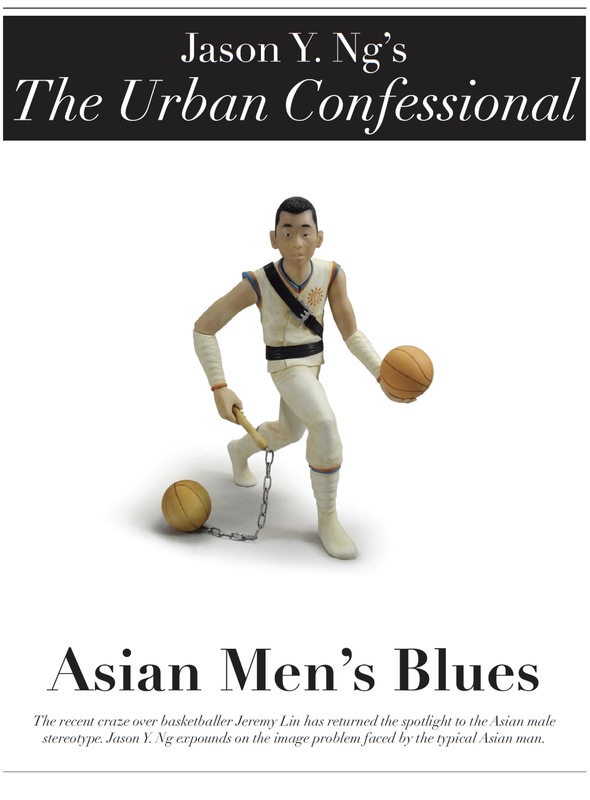 “The Urban Confessional” is an opinion column on social issues and current affairs in Hong Kong reflecting the writer’s unique international perspective.